DIGITALEUROPE is proud to introduce Teslasuit, nominated by TechUK, among the selected SMEs to participate in the Future Unicorn Award. 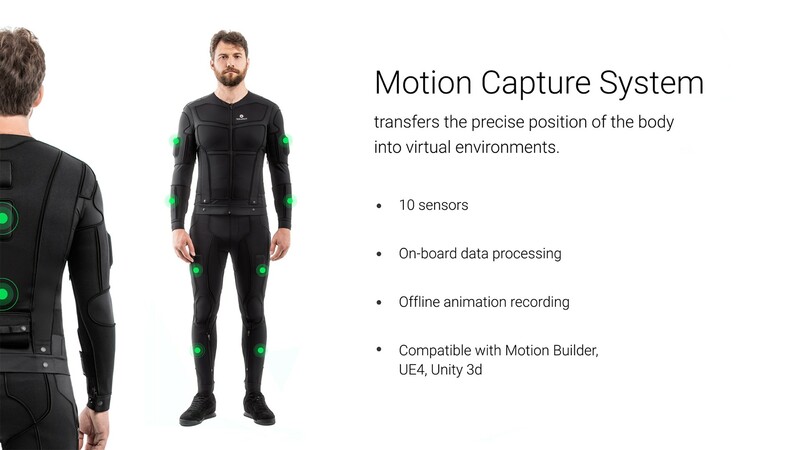 The company was named CES 2019 Innovation Awards Honoree in a category of Virtual and Augmented Reality with its unique, world’s first full-body haptic suit, Teslasuit. Teslasuit was first officially unveiled at the Consumer Electronics Show (CES) in January 2018. Teslasuit had been highlighted as one of the most interesting innovations presented. Authoritative high-tech media TechCrunch considered Teslasuit the future of full-body haptic technology. This year, Teslasuit was mentored as a trend to watch at CES 2019. Furthermore, fashion magazine British GQ included Teslasuit among “the craziest tech we’ve laid eyes on at CES 2019 so far”. Teslasuit is used in virtual and augmented reality industry as an interface between human and virtuality. Teslasuit, a smart textile two-piece full bodysuit that consists of a jacket and trousers, is a result of work by engineers, designers, programmers, doctors, AR/VR experts. 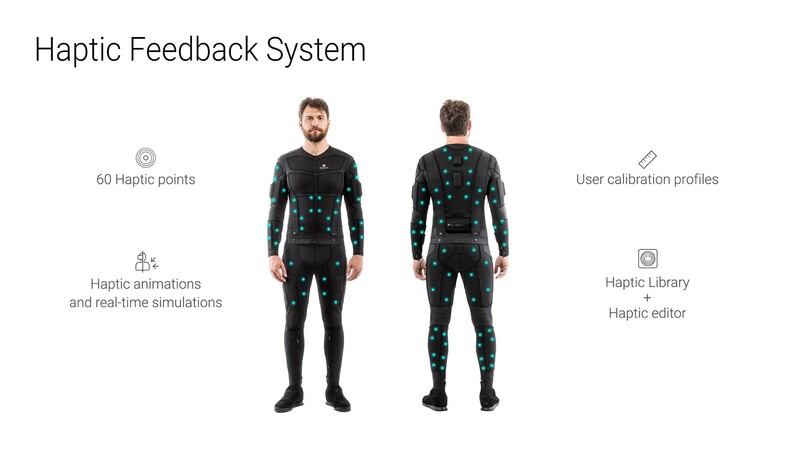 Teslasuit makes the experience in virtual and augmented reality more realistic and effective through the synergy of systems: haptics, motion capture, and biometry. The integrated complex of these elements provides improved human performance with Teslasuit. Teslasuit’s haptic technology allows to transmit touch: it is actually an additional channel of communication and a new way of making VR experience deeper, immersive, and more realistic. Electrostimulation based haptics is proven to increase immersion and improve learning. By means of stimulation of muscles and nerve endings, the human body becomes more alert and active, which favours learning. At present, Teslasuit is intended for integration into a diverse range of enterprise applications and training solutions. In the future, Teslasuit will be widely used in games and entertainment, fitness and sports, wellness and healthcare. “Teslasuit as a platform solution for xR Training generated great interest and demand from enterprises. Teslasuit offers an integrated approach to solving corporate training requirements. The synergy of several systems allows for simulating conditions more realistically and to monitor the state of well being of the trainee”, said Sergei Nossoff, Chief Executive Officer (CEO). “We are currently focusing on working with corporate clients in the b2b segment to use Teslasuit for VR training in various industries. We offer solutions for Mining and Processing, High-tech Construction and Engineering, training for Firefighters and Rescuers and other industrial applications. We are constantly updating and improving the Teslasuit product. 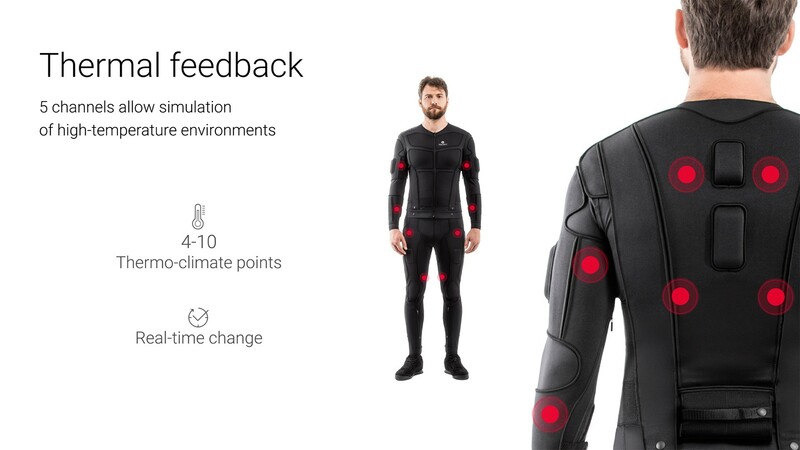 In the future, Teslasuit will have most broad applications in medicine and rehabilitation, sports and fitness, games and entertainment,” said Dimitri Mikhalchuk, Chief Revenue Officer (CRO) at Teslasuit.